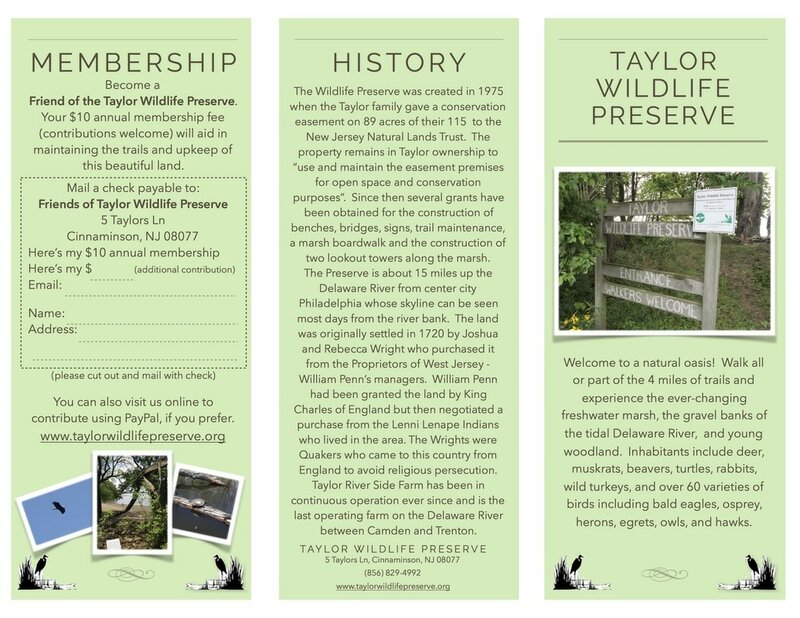 A gorgeous, wondrous, ever-changing, NJ Natural Lands Trust nature preserve located on 85 acres along the Delaware River in Cinnaminson, NJ - only 30 minutes from Center City, Philadelphia. Visit marshland, pineland, forest, farmland, river shore, all accessible via our myriad of trails, lookout towers and newly built boardwalk through the marsh. 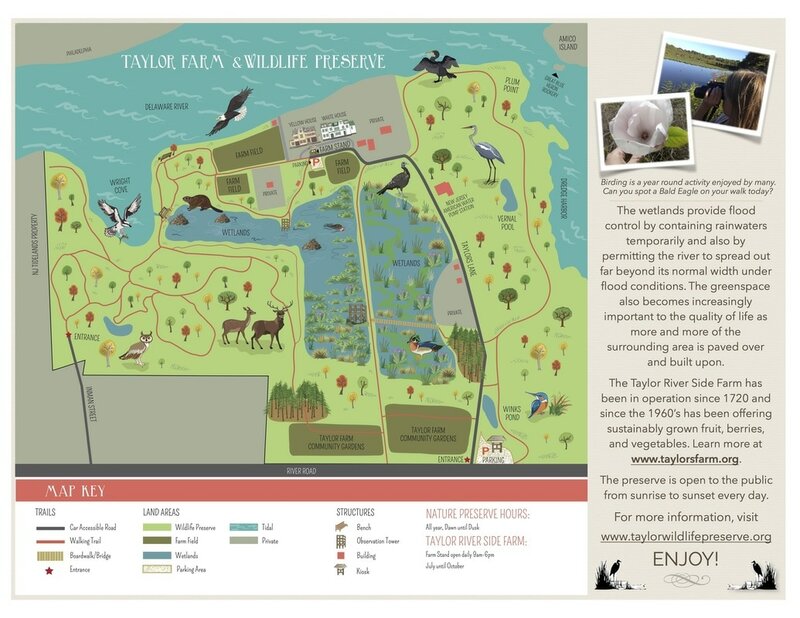 For an annual membership fee of $10, and any welcome donation above this, you can become a Friend of Taylor Wildlife Preserve. Funds serve the upkeep and preservation of the trails and refuge land. Going West on Taylors Lane, pass the railroad tracks at the lights at River Road, and drive about 3/4 mile down the gravel road portion of Taylors Lane towards the Delaware River. Parking at the kiosk just past River Road, or by the Taylor Farm Stand closer to the river. Our new FTWP Brochure can be found at the kiosks. Feel free to contact us with any questions or stories!